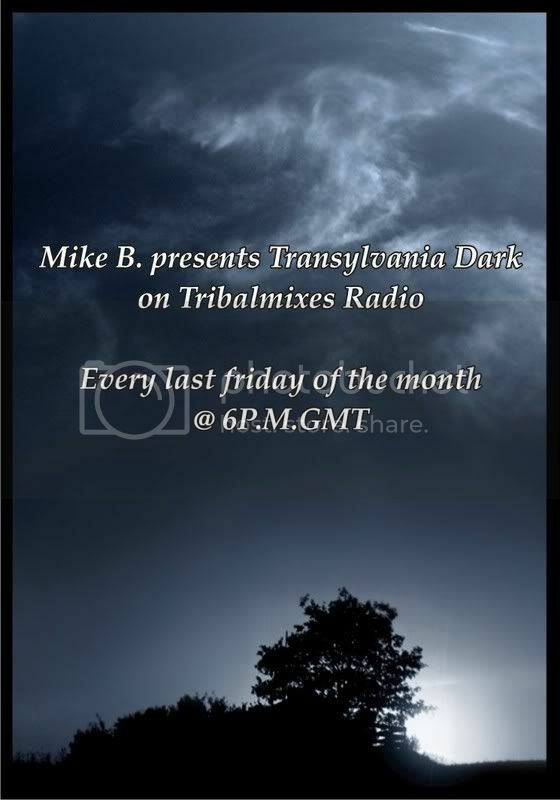 Transylvania Dark with Mike B. Featuring 2 exclusive DJ Mixes, curated by horace dan d, mike b. Featuring 1 exclusive DJ Mix, curated by mike b. Featuring 2 exclusive DJ Mixes, curated by mike b. Featuring 2 exclusive DJ Mixes, curated by ezequiel marotte, mike b. Special guest for Transylvania Dark 008 on 26th of september EZEQUIEL MAROTTE!!! A monthly 2 hours radio show,mainly deep/dark progressive sounds, but not only. Stay tune for more information about the guests! This week guest: Dj Karesma.